Hello Orange City! We’re moving on April 12. We’re excited to share our news. We’re opening a new store in Orange City, Iowa at a brand new location on April 12. Located at 642 8th St. SE, next to the new Casey’s General Store, this new store will replace our store at 108 Central Avenue South. While our location is changing, customers can expect the same hometown service and stunning line-up of products they’ve come to expect from CellOnly in Orange City. If you’re a current customer, we can’t wait to see you at our new location. 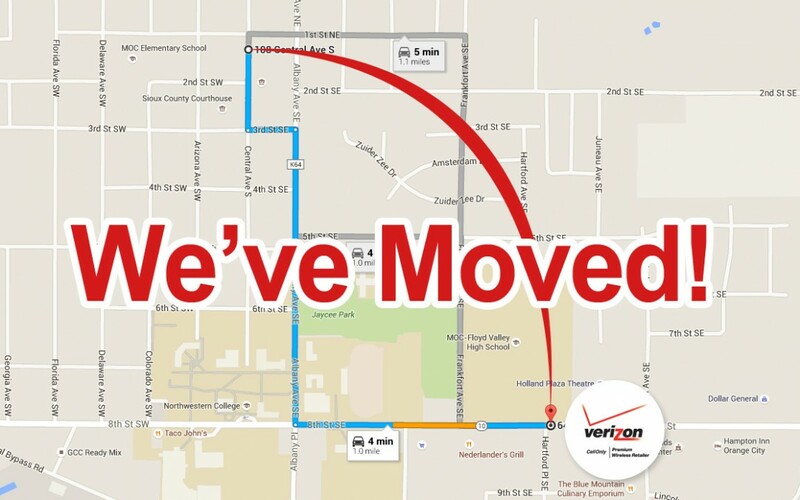 If you are someone looking for a cellular provider you can count on, come see us at our new location and experience why CellOnly, your Verizon Premium Wireless Retailer, should be your go-to stop for Verizon products and services.